In another sign that anti-gay policies can lead to bad press for brands and organizations, Disney has decided to withdraw all funding from the Boy Scouts of America over the org’s policy prohibiting openly gay men from holding leadership positions. If you’ll remember, the Scouts took half steps to resolve the issue in 2012 after businesses like Intel and UPS pulled their sponsorships due to its policies; the org now officially welcomes openly gay scouts but not scout leaders. The group’s National Council reached out to Disney after the company made clear that its policies violated internal standards, but it seems the decision had already been made. The loss may be more symbolic than financial: Disney provides primarily small grants to local troops in exchange for hours spent doing volunteer work. 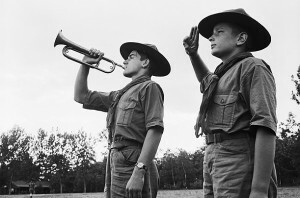 The point is that now is a challenging time for the Scouts and other businesses/organizations that pride themselves on sticking to tradition. In most states today, banning gays from service or membership in any context doesn’t just violate the law; it also guarantees bad headlines. While we feel like the Scouts will come out of this OK, they might have to hold a few local fundraisers; unlike the Girl Scouts, they can’t sell delicious cookies outside marijuana shops.